If you are wondering about whether a high efficiency air conditioner is worth the price, consider the central air conditioner ratings to help make your decision. 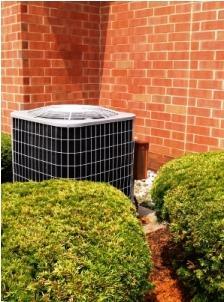 Central air conditioners are rated by what is known as the Seasonal Energy Efficiency Rating, or SEER. To be sold in the United States, a central air conditioning system must have a SEER of 13 or higher. High efficiency models can have a SEER up to 21. So what is SEER and what makes it so important to your air conditioning system? SEER is an efficiency rating, much like the miles per gallon on your car; the higher the miles you get to the gallon the less you pay at the pump. Air conditioners work the same way; SEER refers to the amount of cooling output you receive from your unit, divided by the amount of energy it takes to run the unit. The higher the SEER, the less you'll spend on electricity to cool your home. When you purchase a new central air conditioning system, you'll want to know several things such as how many square feet it can cool and how efficient the system is. This is where SEER comes into play. While a rating from 13 to 14 might not seem like much except a higher price tag on the unit, going up just one SEER point in a rating can save you as much as 10% on your energy bill this summer. Increase this to a high efficiency unit that has a rating of 21 and you'll save as much as 80% over a lower efficiency model. While you pay up-front for this privilege, with higher price tags on the higher efficiency models, you can save a lot over the lifetime of an air conditioning system. When you consider central air conditioner ratings at your time of purchase, make sure you also take into account how much use your unit will receive. If for example you live in Northern Maine and only run the central air conditioning for a few days each summer, you aren't going to make up the difference in the purchase price of a higher efficiency model. On the other hand, if you live in Southern Florida and will be running your central air conditioning year round, an air conditioning system with a high SEER is going to save you a lot of money over the life of the unit. To make your decision on which unit is going to be best for you, you may want to consider how much you spend in energy bills on the hottest months of the year. Now look at the percentage drop from a high to a low energy rating and compare it with the cost of the air conditioner. Remember that most air conditioning systems last on average of about 18 years, and take a look at how much you'll be saving. You should be able to save the amount of the unit from lower energy bills in about 3 years. If it's going to take you the life of the unit to save the difference, a lower rated system might be the one for you. On the other hand, if you'll be running your system year round, and the savings will be significant then it may make more sense to invest in a higher SEER air conditioner and save the difference over the long run. While central air conditioning ratings and their accompanying price tags may seem confusing at first, selecting the right unit can save you hundreds if not thousands over the life of the unit. Pay attention to the unit, your energy consumption and the lifespan of the unit to make a choice that will benefit your family for years to come.